I am specific about the food processor because I read some online recipe blogs that it is possible to use a hand-held grater or a blender. Okay, it is “possible”; but it is a giant mess. Trust me on this one, use a food processor with a chop feature. Clean and cut the cauliflower, including removing the center stem. I like to trim the outside off the stem and eat it like a carrot with a bit of salt. Cut the flowers up into pieces no larger than a golf ball. Toss about a cup of them into the food processor and pulse it on the chop setting. 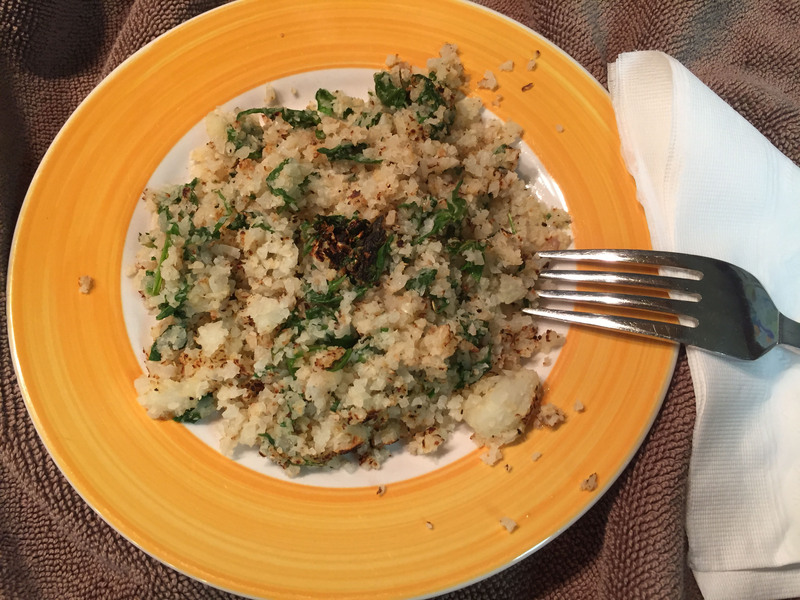 Once you have the cauli-rice prepared, you can divide it into smaller portions to use in an upcoming meal, store in the refrigerator for a few days or freeze it. I did notice that there are cauliflower “pearls” in the vegetable freezer section so you can buy them if you’re in a pinch for time. There are a number of ways to use the cauli-rice. Below are a couple of recipes for toasted cauliflower rice. Preheat a pan on medium high. 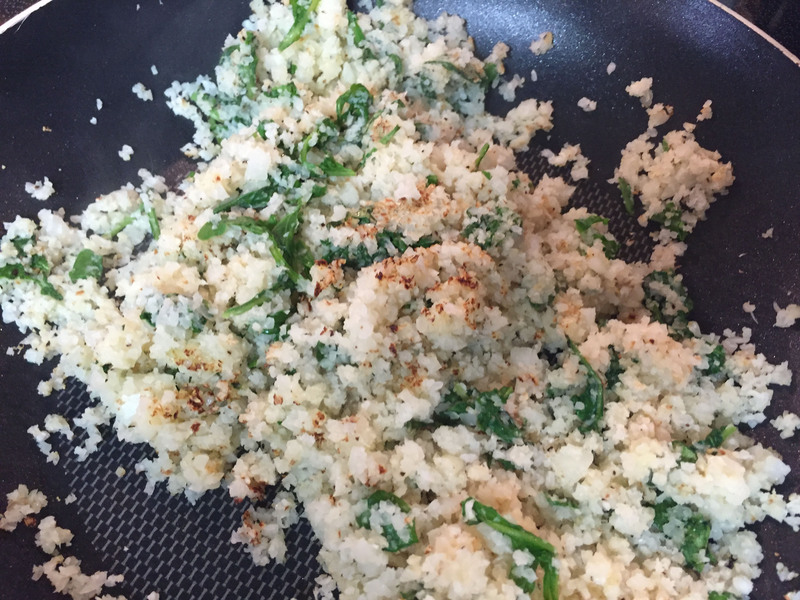 Melt the butter in the pan, then toss in the cauli-rice and seasonings. Cover the pan for about 1 minute to soften the cauli-rice, then remove the lid. Continue cooking until the rice is “al dente.” Turn it often with a spatula so some of it has a toasted appearance. Serve as a side dish instead of rice. This rice is featured with the Coconut Curry Chicken Thighs with Peppers and Mushrooms recipe. 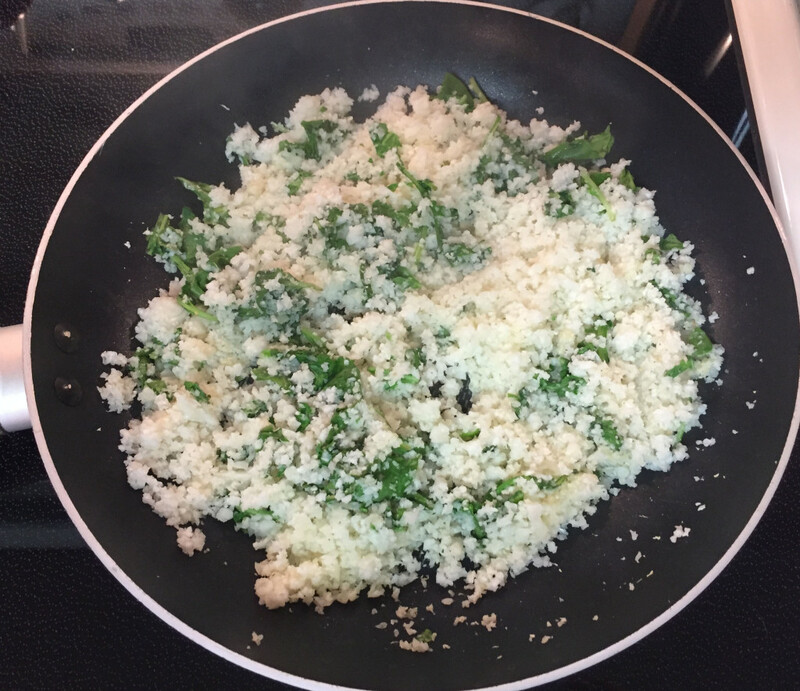 In addition to the ingredients listed above, sometimes I will chop a cup of spinach or arugula and add it to the cauli-rice. 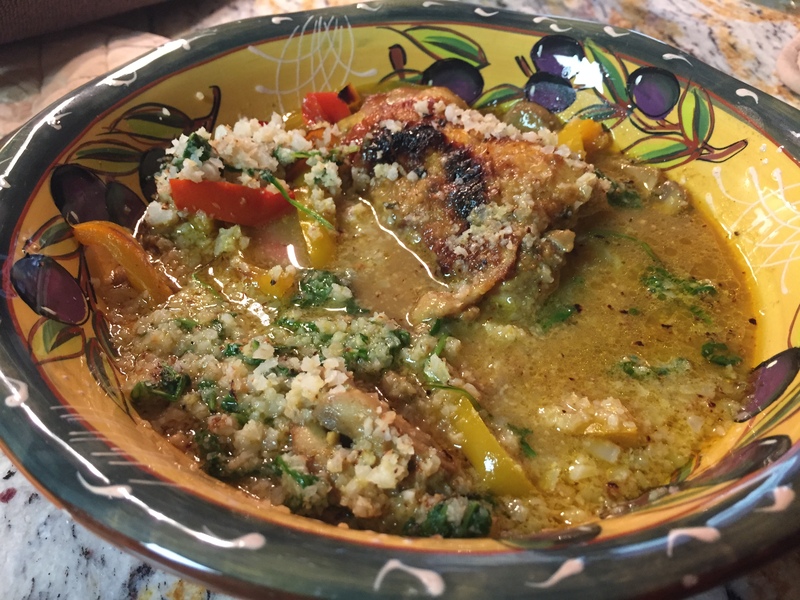 Today I had this recipe with leftover coconut curry chicken. 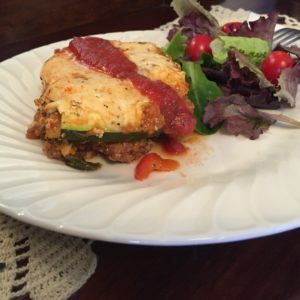 This entry was posted in Home Page Feed, Recipes, Uncategorized. Bookmark the permalink.